Have you thought about biking in a Patagonia National Park? 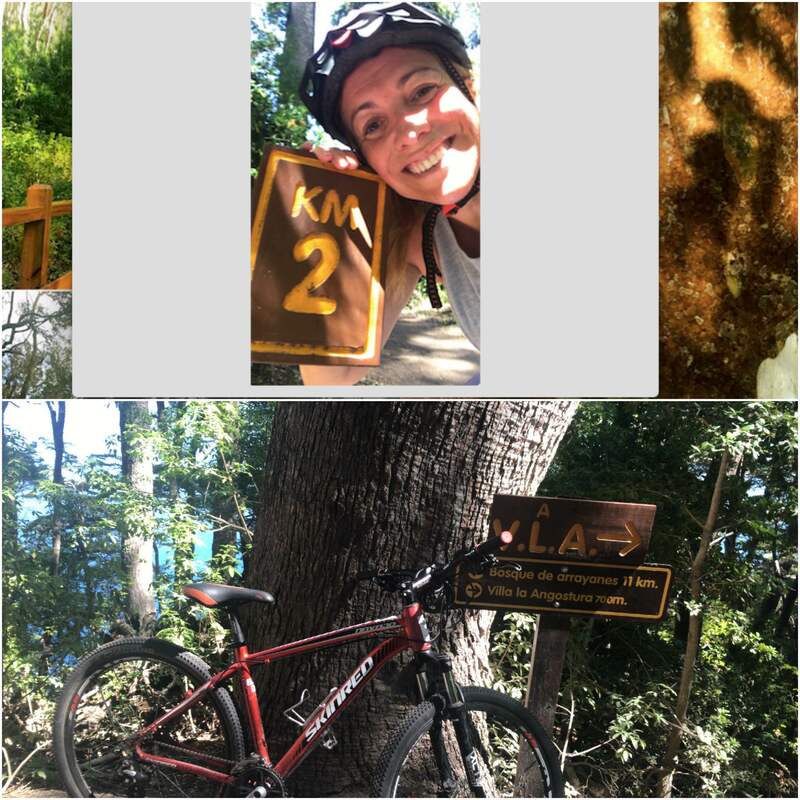 How about biking in Los Arrayanes? 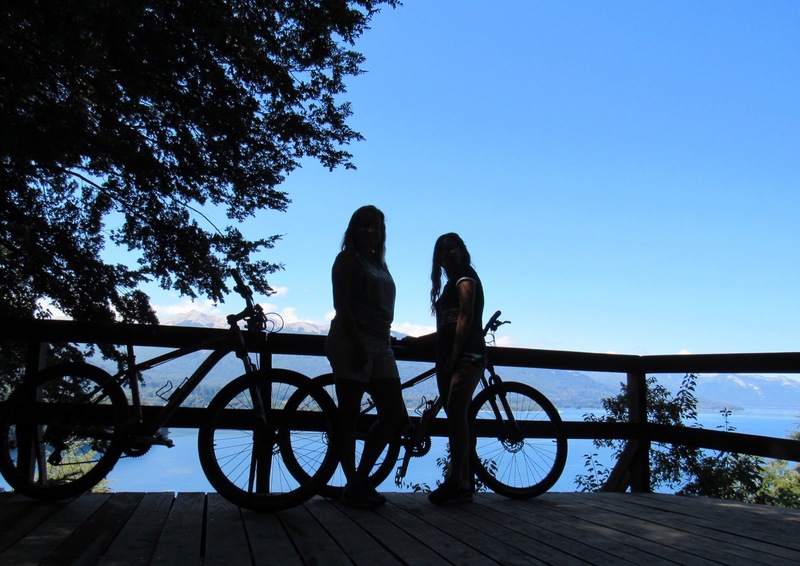 On our last trip to Patagonia, we wanted to take a bicycle tour along a path in the forest. 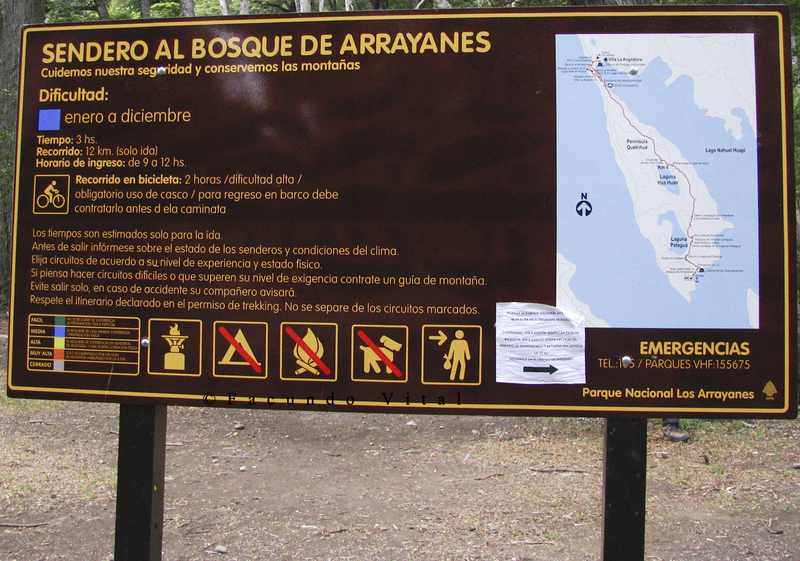 We decided for Los Arrayanes National Park, in Neuquén, Argentina. We decided to arrive by catamaran across the Nahuel Huapí Lake, and return by bike through the NP. Bikes can be rented in downtown Villa La Angostura, or near the port. If you do it in downtown (the bikes are better) you should add 3 km (2 miles) one way to the port and another 3 km back. 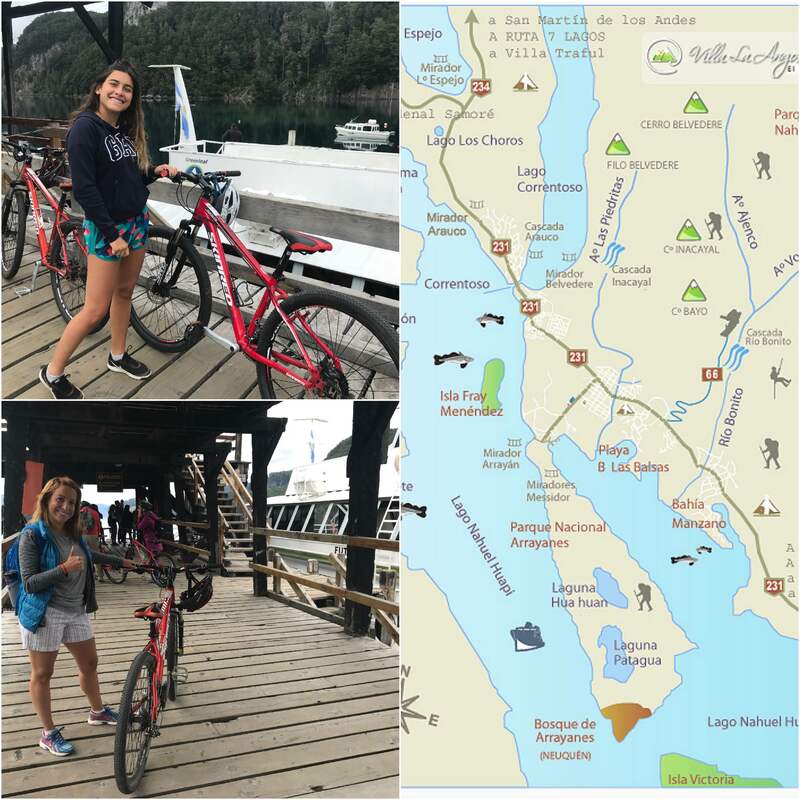 We embarked on the Port of Villa La Angostura, with the bikes, and in less than an hour sailing on the catamaran, we arrived at Puerto Arrayanes. 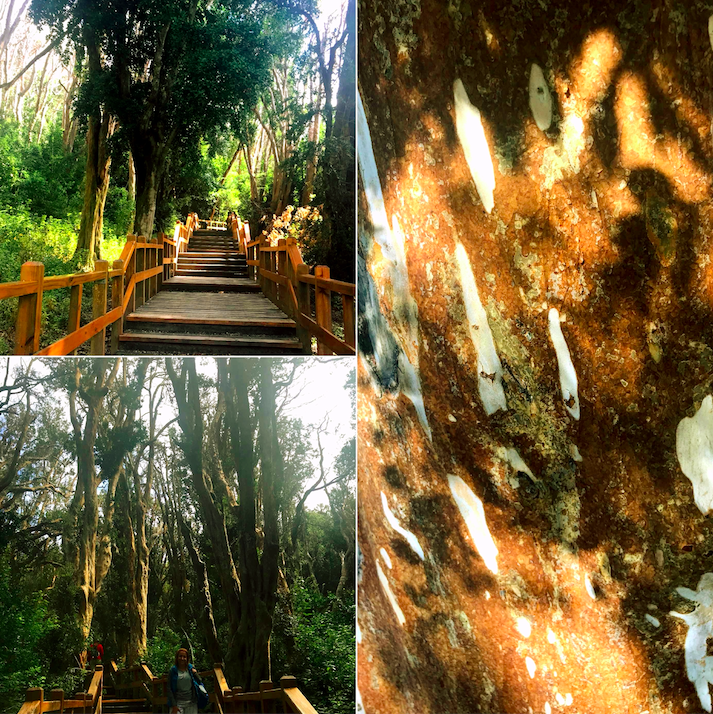 With your catamaran ticket, you get a guided tour through a wooden walkway, which lasts around 30 minutes, identifying arrayanes, cypresses and coihues among other species. 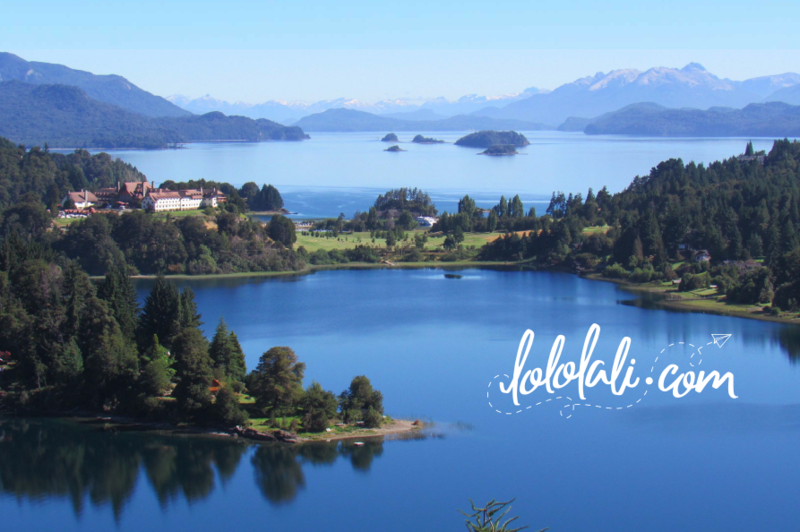 You can also arrive from the city of Bariloche by boat, or make it to Villa La Angostura by bus or car from Bariloche or other surrounding cities. After doing this tour on foot, we began to cross the NP (located in the Quetri Hue Peninsula) on the bike, to return to the Port of Villa La Angostura. This park trail can be done on foot or by bicycle. It is estimated to take 2 hours on a bike, and 3 hours hiking. We decided to start this adventure by sailing first to the extreme point of the peninsula, and then return by bike. We decided to do it this way because it is easier than the other way around. This way there are more descents than climbs, than if you start from the isthmus. Several tried to dissuade us because of its difficulty, but we decided to give it a try. And… OMG, it was difficult! With this experience, I realized that Angie and I have more enthusiasm and determination than fitness. The road is difficult both trekking and cycling. It is a journey of a little less than 12 km (7 mi) on a mountain trail, with very extreme climbs and slopes. In a few places, we were forced to push the bike, and where there were stairs, we had to pick the bike and carry it on the shoulder. Your muscles will burn for sure! 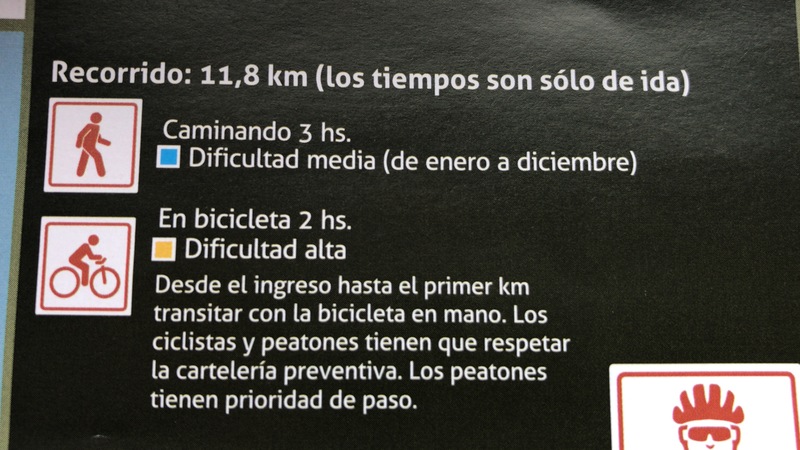 NP says the trail´s difficulty is moderate for hiking and high on a bike. The trail is easy to follow, and has signs posted every km that you reach. In the pic to the left, I am smiling because I had only 2 km left. Remember that we started the trail and the end and back to the beginning. There is a big sign marking the mid point of the trail. You have to be cautious, because there are dangerous descents. Too much speed can lead to this. It is a tour that is worth doing, as you can enjoy the forest and appreciate beautiful views of the lake. 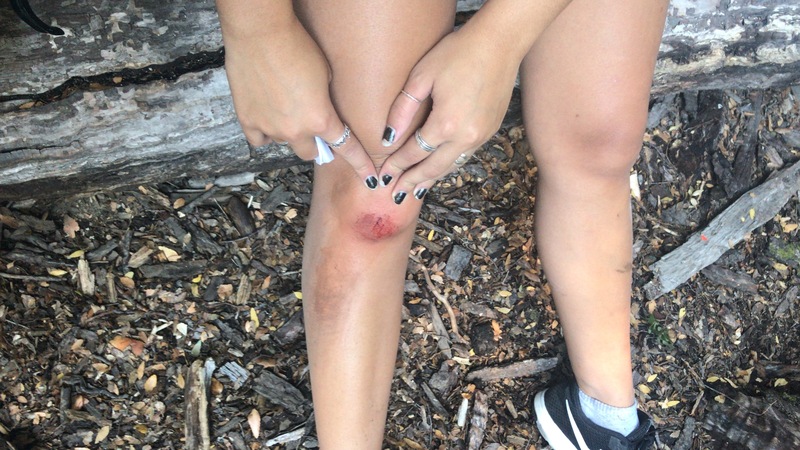 If you are not an experienced cyclist on mountain trails, it may be better to do it on foot, or just do it like us… with patience and determination. No rush! As I said before, keep in mind that there are very steep climbs and descents and in some sections you have to carry the bike on your shoulder because of steps. Angie and I did covered the trail in the 2 hours announced, with great effort, with a fall and with great satisfaction to have completed the challenge.